Low prices on tires! Free and easy quotes! Swing on by to Northgate Tire in Cincinnati, OH for a wide selection of durable name-brand tires! Among the most basic components on your vehicle, tires are a crucial feature that greatly affects its overall performance and safety. When shopping for tires, you need a tire dealer that will provide not only a fair price, but knowledgeable guidance and a wide selection of tires from the most trusted names. Cincinnati, OH drivers depend on Northgate Tire for the best selection of tires! Northgate Tire is your Cincinnati, OH area tire expert. Our tire specialists are trained and experienced in everything from the newest tire innovations to selecting the best tires for specific driving needs. 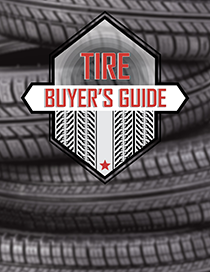 As your trusted tire source, we'll take the worry out of buying tires, answering all of your tire questions, guiding you in choosing the right tires for your vehicle, and offering you great prices. Northgate Tire has a variety of tires for our customers to choose from, tires by size, tires by brands, quality tires and so much more. Cincinnati, OH drivers choose Northgate for their one stop shop for tires. Contact us today for a tire quote! Are you tires wearing on the outside or are your tires wearing on the inside? Either way, let Northgate Tire inspect your tires! Northgate Tire is here to serve you with the Cincinnati, OH area's best tire selection and prices, as well as knowledgeable assistance. Stop by or call us at (513) 385-1144!